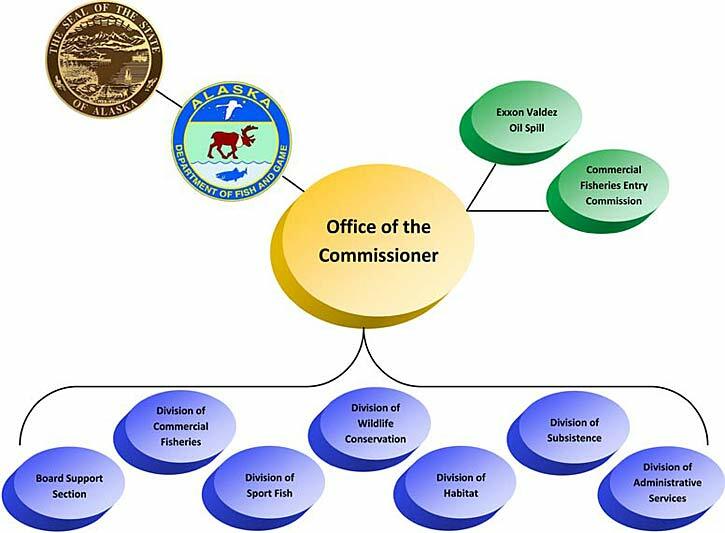 The Alaska Department of Fish and Game consists of the Office of the Commissioner, six divisions, a Boards Support Section, and two associate entities. The six divisions are Commercial Fisheries, Sport Fish, Wildlife Conservation, Habitat, Subsistence, and Administrative Services. The two associated entities are: the Commercial Fisheries Entry Commission and the Exxon Valdez Oil Spill Trustee Council.